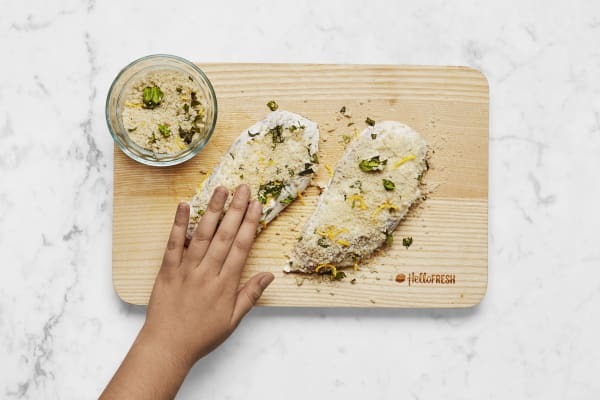 Mix panko breadcrumbs, chopped fresh basil, garlic, lemon zest, and olive oil; pat the mixture onto chicken breasts; bake; and voila! 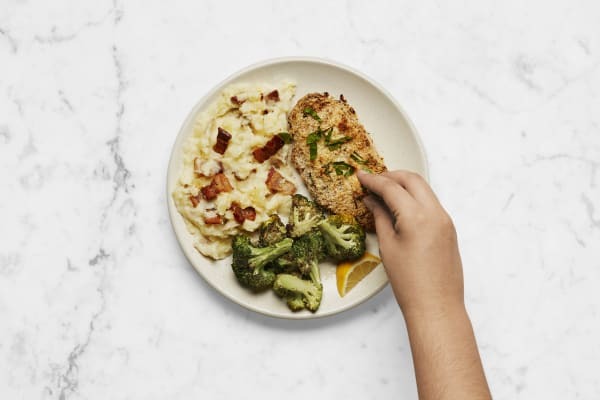 Golden chicken deliciousness with major crunch cred. 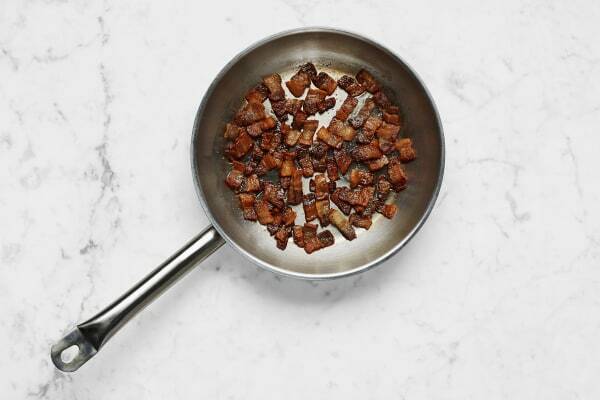 As for the spuds, we supply all the Jack cheese and smoky bacon you’ll need for an addictive mash. Wash and dry all produce. Preheat oven to 450 degrees. Lightly oil a baking sheet. Dice potatoes into 1-inch pieces. Place in a large pot of salted water and bring to a boil over medium-high heat. Cook until tender, 15-20 minutes. Meanwhile, zest 1 TBSP zest from lemon; quarter lemon. Mince or grate garlic. Finely chop half the basil. Combine zest, chopped basil, half the garlic, panko, salt, pepper, and a drizzle of olive oil in a medium bowl. Season chicken all over with salt and 2 tsp Tuscan Heat Spice (we sent more). Evenly spread sour cream on top side of chicken. Press panko mixture on top (you may have some panko left over). 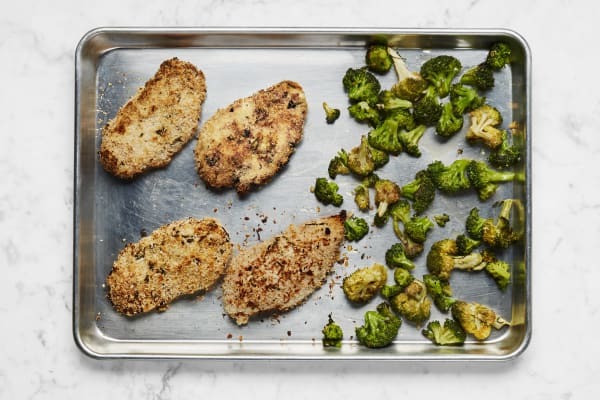 Transfer chicken to one side of prepared baking sheet and bake until lightly browned, 5-8 minutes. Remove from oven and toss broccoli, remaining garlic, a drizzle of olive oil, and salt on opposite side of sheet. Return to oven until broccoli is tender and chicken is browned and cooked through, 10-15 minutes more. Meanwhile, dice bacon into ½-inch pieces. Place in a medium pan and cook over medium heat, stirring occasionally, until browned and crisp, about 15 minutes. (TIP: If bacon browns too quickly, lower heat.) Using a slotted spoon, transfer to a paper-towel-lined plate. Toss broccoli with a squeeze of lemon juice, salt, and pepper. 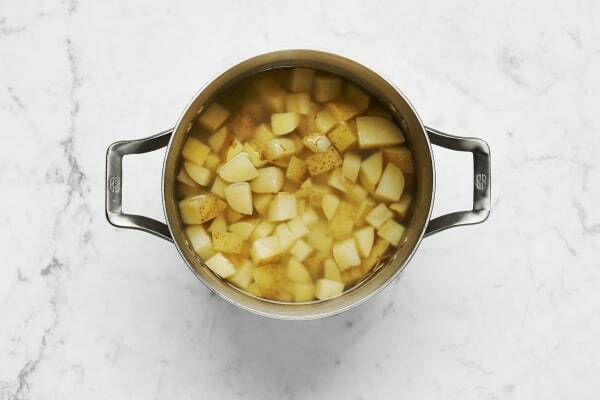 Once potatoes are tender, reserve ½ cup potato cooking water, then drain and return potatoes to pot. Add 2 TBSP butter, cheese, and ¼ cup cooking water. 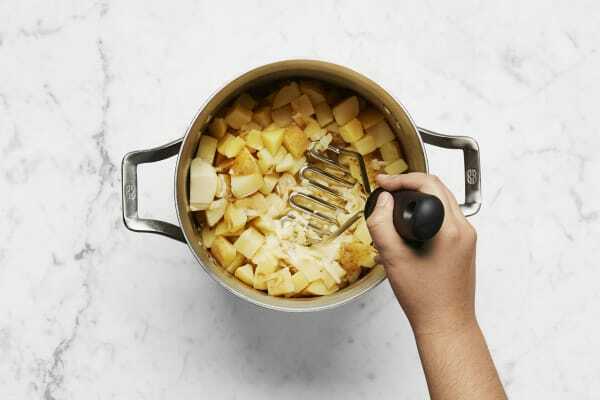 Mash with a potato masher or fork, adding a splash more cooking water if needed, until smooth and creamy. Season with salt and pepper. 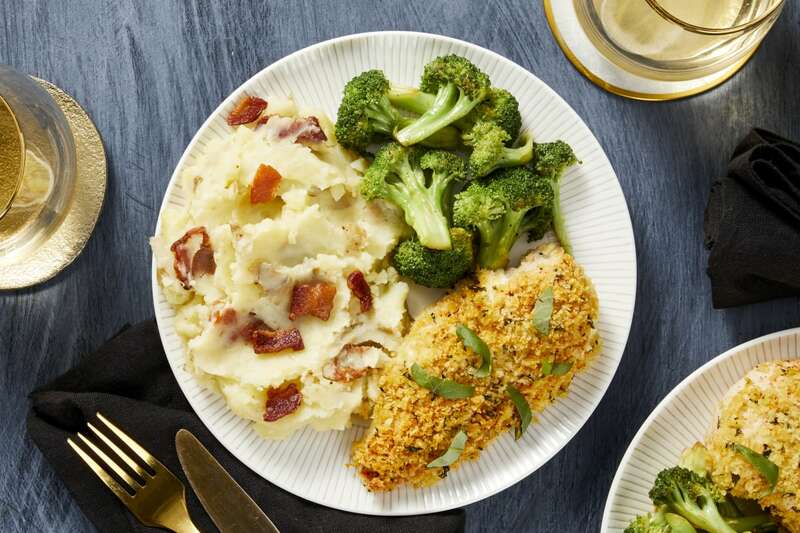 Divide broccoli, chicken, and mashed potatoes between plates. Tear remaining basil over chicken. Sprinkle potatoes with bacon. Serve with remaining lemon wedges on the side.